If you’ve ever had to haul tools in to the field, you’ve probably wanted something lighter than stainless steel. Well, here you go: the answer is carbon fibre (with stainless steel teeth). 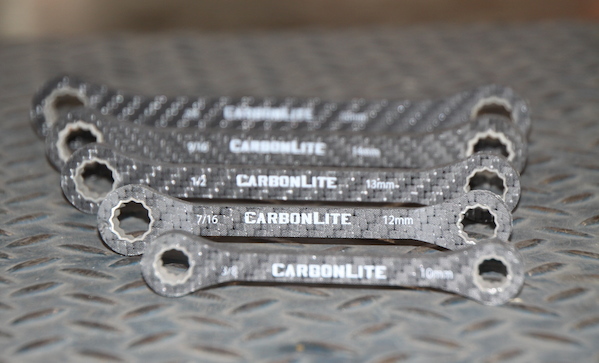 These CarbonLite wrenches ($140) are tough, durable, but extremely light—only 190 grams per set. Sizes are 10mm, 12mm, 13mm, 14mm, 15mm.